Steve Baughman has been performing guitar and banjo around the world for nearly four decades. An innovative instrumentalist known for exploring alternate tunings, Baughman has developed a claw¬hammer guitar technique and helped make it common practice for fingerstyle guitarists. He has taught at over 70 music camps across the United States and Canada and has toured for 10 years as a duo with the Celtic guitarist Robin Bullock. Baughman has written a handful of instructional books and appears on multiple CDs, three of which—Farewell to Orkney, Celtic Guitar Summit (with Bullock), and Clawhammer Guitar: The Collection (various artists)—have been featured in Acoustic Guitar magazine. Baughman makes his home in the San Francisco Bay Area where, when he is not performing or teaching, he is a part-time philosophy graduate student and attorney. 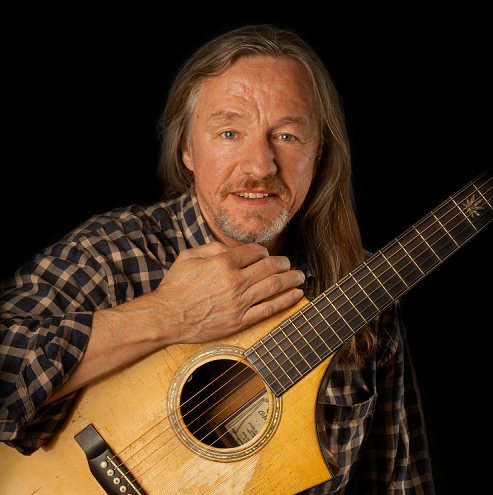 For more on the work of Steve Baughman, visit www.celticguitar.com.